Shrink tunnel rod covering material : we can supply ( depending on manufacturer ) full silicone tube or reinforced fiberglass with a coated/impregnated with a NON-STICK material . Ultimate goal is not let the heated foil sticking on the steel or aluminium rods. 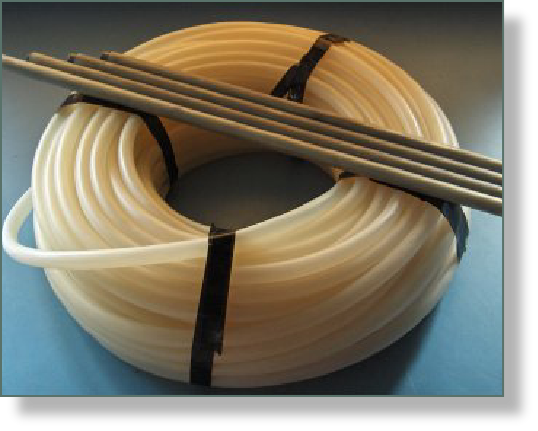 We can also supply you with coated shrink tunnel rods ! Shrink tunnel rod covering material, Glass coated teflon , Full silicone.